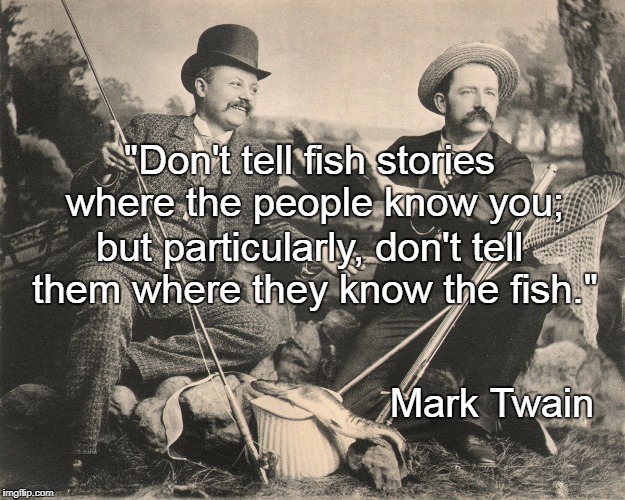 The Free Dictionary Language Forums » English » The Free Dictionary Daily Feed » Quote of the Day » Don't tell fish stories where the people know you; but particularly, don't tell them where they know the fish. The fish may be found in Goodbody Mortuary where life is well celebrated. It is not glued to the shoe underneath. Funny and witty, as ever.